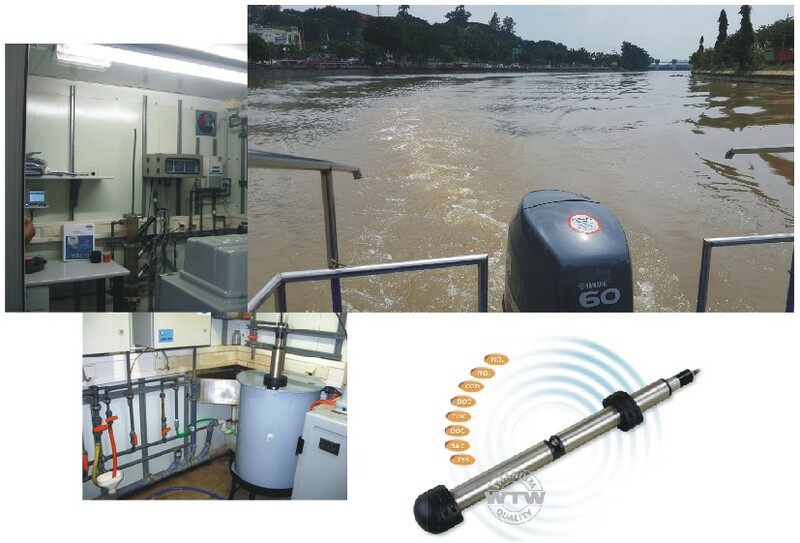 Continuous effluent and river monitoring is popular all over Asia. Many of the rivers in Southeast or South Asia look polluted without actually being polluted, since they may just be naturally carrying a high load of silt and sand. 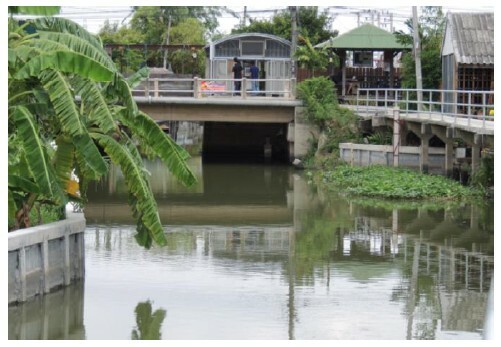 Other rivers may look clean, but actually contain lots of harmful substances. Not surprisingly, rivers with factories, big cities, mines or big farmlands upstream are more polluted than others. Help the authorities to quantify environmental health impacts, identify polluters (day and night), and identify accidental pollution. Measure quality of water: (COD, TOC, PO4, NO3, NO2, TSS, turbidity, conductivity, salinity, pH value, dissolved oxygen, NH4, ...). Support environmental risk-mapping & evaluations. Help identify trends and patterns. Measure quantity of water (Flow & level) and provide information about quantity of pollution, as well as upcoming flood risks and water scarcity. Measure weather data (Rainfall, wind direction, wind speed, …). Provide data and warning messages wireless and in real time. What are the analytical technologies available for continuous monitoring? Since 2010 new UV-VIS spectrometry sensors from WTW have been able to measure the absorption of water and, with a unique algorithm, calculate COD, TOC, BOD, NO3 and NO2 values and even measure TSS all in one. 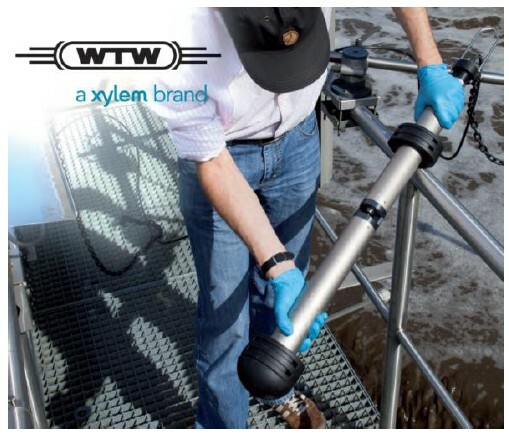 Different models /algorithms make the WTW spectrometry sensors great devices for measurement of: municipal waste water inlet, waste water aeration, waste water outlet and river water; without any sophisticated and time-consuming calibrations. Therefore WTW IQ SENSOR NET spectral sensors are ideal for assessment of organic pollution in waste water, surface water and effluents. WTW spectral sensors measure at 256 different wavelengths between 200 and 390nm/720nm (depending on the model). 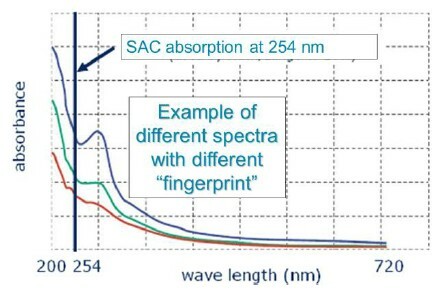 As a rule of thumb we can state that NO3 and NO2 has maximum absorbance in the range of 200 nm to 250nm, the carbon containing substance (sum parameters) absorbing mainly between 220 nm to 400 nm and turbidity is measured over the total spectrum range. The best algorithm will get us the best compensation of interferences by a changing water matrix and therefore the best results. Measurement at ONE wavelength only? A “one wavelength meter” will not see the big carbon absorption peak of the “blue” sample and also not the smaller peak of the “green” sample as shown in this graph. WTW spectral sensors have an ultrasonic window cleaning function integrated. Ultrasonic cleaning means: the highest reliability and low maintenance. WTW Spectrometric sensors are using durable xenon lamps, which have an estimated lifespan of 10 years ++, or 10 billion flashes. 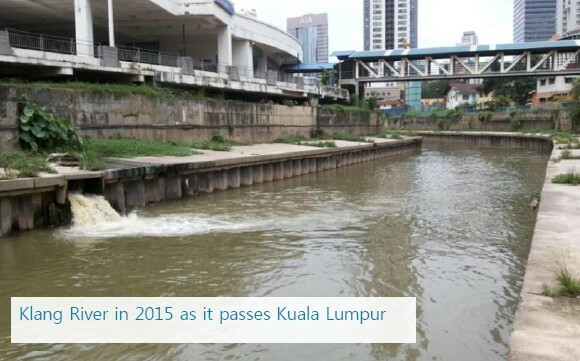 The objective of the River Cleaning is to clean and improve the water quality - 110km along the Klang and Gombak River from its current Class III – Class V water quality (not suitable for body-contact) to Class IIb (suitable for body-contact recreational usage) by year 2020.